Jozi FM Live Online . 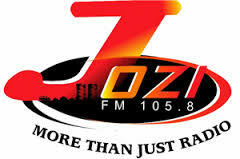 It is a local radio station that started in 1995 as Soweto Community Radio. It is the largest community radio station in South Africa, broadcasting in several languages including: English, isiZulu, Sesotho, Sepedi, Setswana and Xitsonga. The station's radio format is 50 percent music and 50 percent Talk. The studios are based at Khaya Centre in Dube, Soweto in South Africa and covers regions all across Soweto, Kagiso, Lenasia, Krugersdorp, Randfontein, Kempton Park, Germiston and Alberton. Address : 2212 Mahalefele Drive , Ekhaya Centre, 1st Floor, Office No. 12 .